Today I want to talk to you about Mindset. 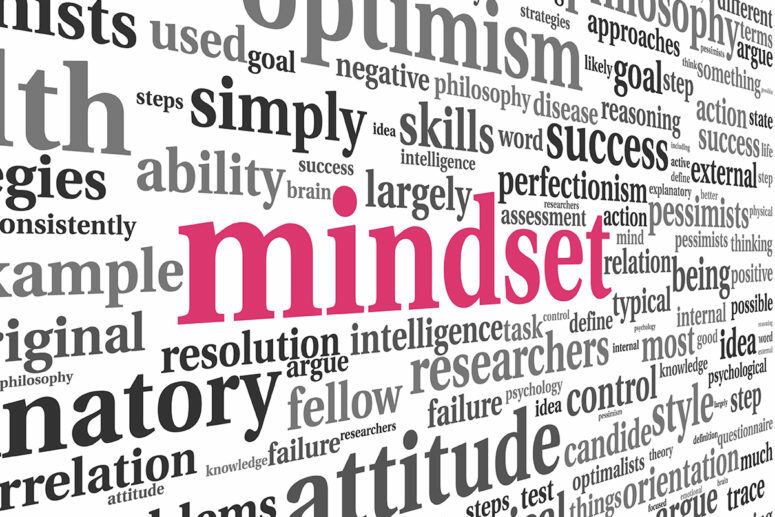 Did you know that your mindset highly influences your ability to get what you want? That’s right. In order to accomplish something, you must first believe that it is possible. Successful people understand that results depend on effort, and that they can grow and change through the practice of simple behaviours. They embrace challenge as an opportunity to become stronger. Because of this way of thinking, they are highly motivated and are more likely to achieve their goals. Therefore, your journey starts in your mind. Because weight-loss is a process that requires change, your mind must be prepared to face the challenges that are yet to come. And this is not always a smooth path. It has ups and downs. One day you will be feeling amazing and encouraged, the next you might feel that you are stuck in the same place. As a coach, my job is to give you support and help you overcome roadblocks. But you have to do your part too. Need help getting your weight-loss journey started? Try our online coaching for 14 days. So, don’t be afraid of struggles and setbacks. Life doesn’t go in a straight line anyway. More likely than not, you will face obstacles during your journey. You can look at them as an opportunity to learn or you can feel sorry for yourself. It is your choice. To help you adjust your mindset, follow my seven rules to success:. 1. Envision the outcome. Determine what you want to achieve and picture yourself succeeding. This will strengthen you self-confidence and create a positive attitude towards your future. 2. Stop with the negative self-talk. Telling yourself that you can’t do something or that you not good enough send mixed messages to your unconscious mind and hinder your progress. 3. Become a problem solver. Don’t give up when facing a challenge. Instead of asking “why is this happening to me?” ask yourself “how can I overcome this obstacle?”. 4. Create a favourable environment. If everything around you points to the direction you want to go, guess where you will be going? So set yourself up for success by adjusting your environment. 5. Be around like-minded people. You don’t need anyone putting you down or trying sabotage your efforts. Use our community as a support group, and ask for cooperation of family members and friends. 6. Remember why you started. Having a strong and clear reason for sticking to the plan will help you keeping focused when things get tough. 7. Focus on long-term. Keep in mind that results come from doing small things consistently over a long period of time. This is called the compound effect. If you give up, you will have to start all over again. But if you keep going, you will always be on a better position then you were the day before. Have You Heard of Intuitive Eating? Subscribe to our FitNews. Great content and NO spam!